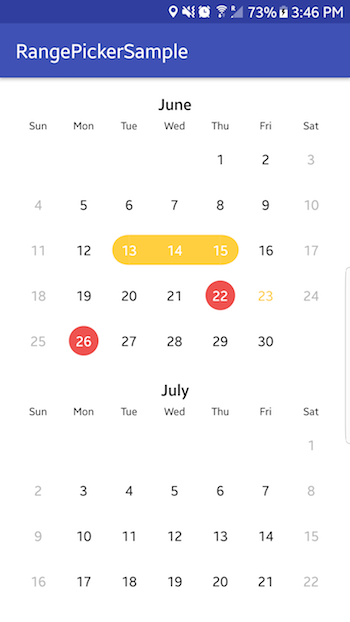 The summer is over and this is a great time to present my subjective list of 30 Android libraries and projects released in the last 3 months. Some of them can be used in production, some of them definitely not, but playing with all of them will be pure fun. They are definitely worthy to check. Enjoy! This is a library which implements Steppers from Material Design Components. You can customise normal/active point colour, done icon, as well as enable animation and set its duration. To check it, please visit Set item values and styles on its Github. This library supports API 17+ and has a quite comprehensive wiki available here. This is an Android Library for multiple snapping of RecyclerView. MultiSnapRecyclerView easily provides a snapping feature to your RecyclerView. listener to be called when snapped. Below is the example, how to use the library. GarlandView consists of classes for inner items that are scrolled vertically and outer items that are scrolled horizontally, and each of which contains one inner item. Rest of the important information you can find in README. There is also an example app. The library supports API 19 and above. 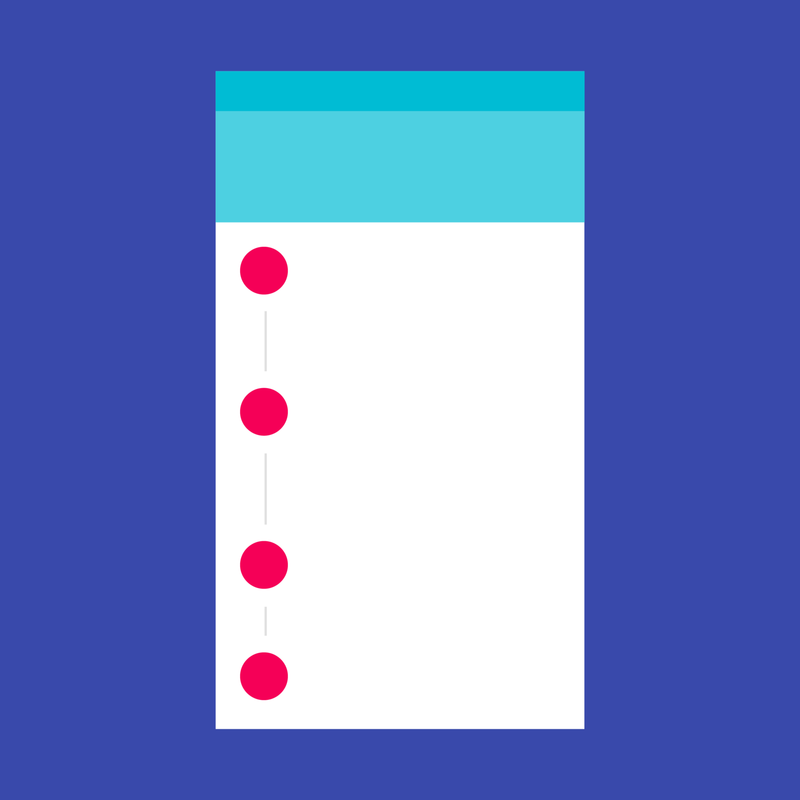 This is a customised LayoutManager — fade and shrink the head itemView when scrolling. It was inspired by this Dribble project. The name of this library is self-explanatory. It is a expandable layout, based on LinearLayout. README contains all information you need to get started. It is well-documented. In addition, there is an example app to quickly jump to the code. 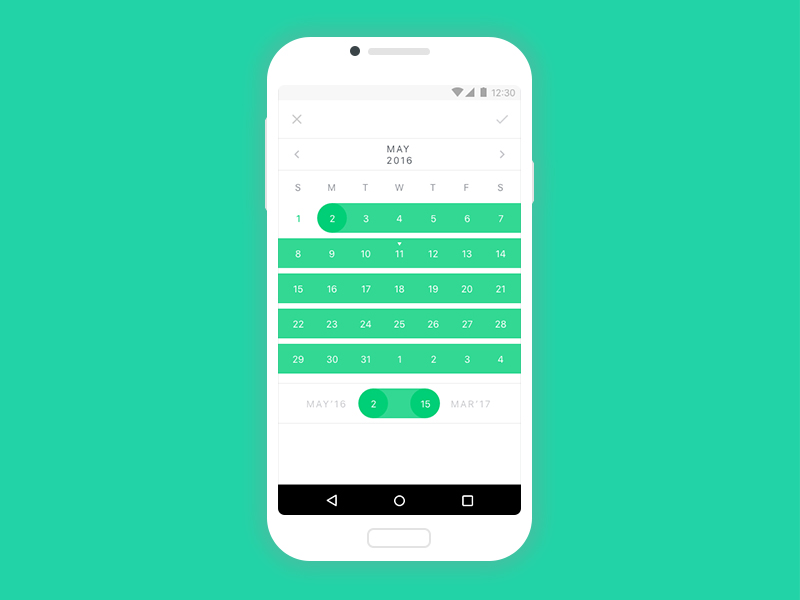 SwipeBackLayout is a library that can finish an Activity by using gestures. You can set the slide direction, such as FROM_LEFT, FROM_TOP, FROM_RIGHT and FROM_BOTTOM. You can also set whether it can only slide from the edge. LinearLayout, RelativeLayout, FrameLayout, TableLayout etc. The project has a comprehensive documentation, sample app and an APK. This is a library for cropping image in a smart way that can identify the border and correct the cropped image. Applicable to ID cards, business cards, documents and other photos of the crop. support rich UI settings, such as auxiliary lines, mask, anchor, magnifying glass and so on. 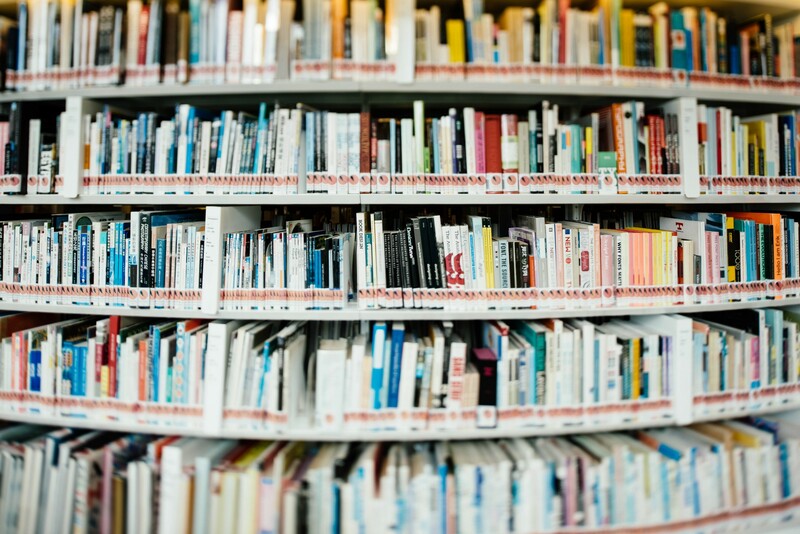 Currently, the library uses optimised points sorting algorithm. CropImageView has selection magnifying effect and it can use CropImageView XML settings. 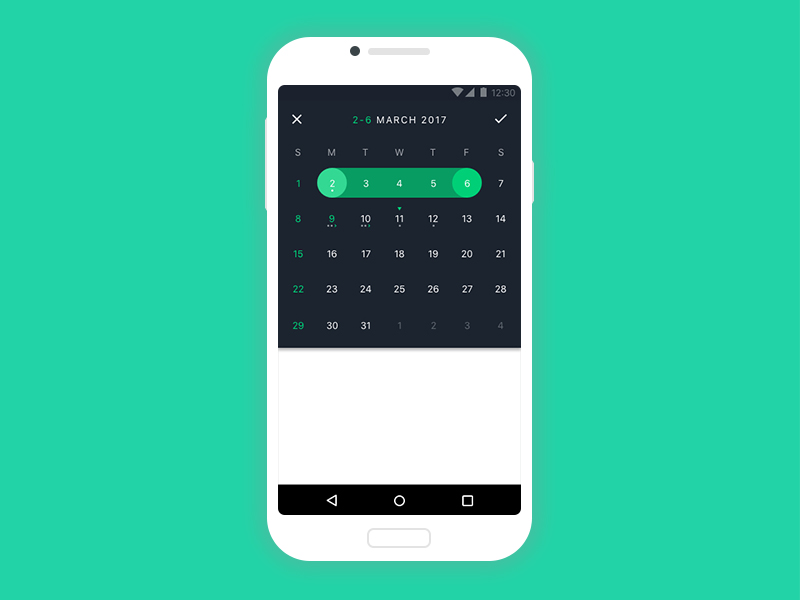 Date Range Picker is a Calendar Picker View to show a customised Date Range Picker with improved UI. A description of the project is well-written and easy to read. The project contains a short but comprehensive README along with sample app. port of Plaid’s ReflowText that allows easily transitioning between sibling TextViews — no matter their size or style. The library is really easy to use, plug and play! Tivi is an application which tracks TV shows and it is connected to Track.tv. It is developed by Chris Banes. The work is still in progress but what is important, it uses the cutting-edge components, libraries and tools which includes: Kotlin, RxJava 2, usage of all of the Architecture Components (Room, LiveData and Lifecycle-components) and usage of dagger-android for dependency injection. This is an IdlingResource for Espresso which wraps an RxJava Scheduler developed by Square Engineering. It supports RxJava 1 and RxJava 2 as well. Happy Instrumentation testing! This is a rich text editor sample (based on summernote). It supports many features, including: Bold, Italic, Underline, Strike-through, Headings (1, 2, 3, 4, 5, 6), Paragraph, Quote, (Un)Ordered List, Code, Horizontal Rule, Link, Image, Justify (Center, Fill, Left, Right), Subscript, Superscript, Font Name and Size, Indent, Outdent, Undo / Redo. In this case you need to base on the sample app, as there is almost no documentation. This is boilerplate app that shows a clean architecture approach to Android apps developed by Buffer team and Joe Birch. To share some approaches to clean architecture. To use as a starting point in future projects where clean architecture feels appropriate. The project is written 100% in Kotlin with both UI and Unit tests. It is really well-documented and great for education purposes! 100% recommendation. If you use RxJava, you know that sometimes it is difficult to read exceptions and find an issue in your Rx stream. And this is the reason why this library was created. You can read more about rational in README. 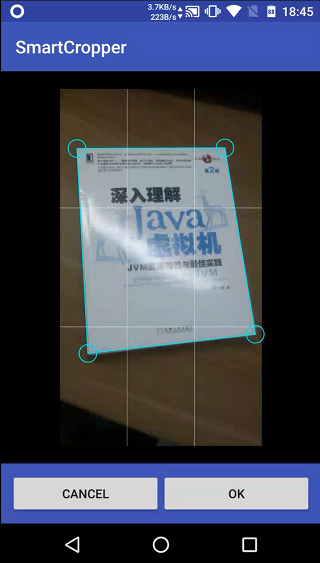 Resizer is a lightweight and easy-to-use Android library for image scaling. It allows you to resize an image file to a smaller or bigger one while keeping the aspect ratio. The library is inspired by Compressor library. This library allows you to detect faces in real time on a camera preview. It greatly works with Fotoapparat library, but is supports also other camera libraries and sources. The usage is simple and the project is quite well documented. This is another library from Florent Champigny. It easily finds a current location for us. It is RxJava2 compatible. It also automatically asks for GPS runtime permissions and checks if play services are available for you. MapMe works with Google Maps and Mapbox. README is comprehensive and the library is written in Kotlin. This is a library for an easy gradient management. You can use it in Java or in Kotlin. Documentation is short but enough to start with ease. RecyclerUtils — Remove the need to make an adapter everytime, set up recycler adapter in as little as 4 lines. ScrollUtils — Easily hide/show FloationActionButton on scroll when using RecyclerView or NestedScrollView. ToastUtils — Creating toasts are just a function away. SPUtils — Simple DSL for Shared Preferences. ValidatorUtils — Fast and simple text validation. 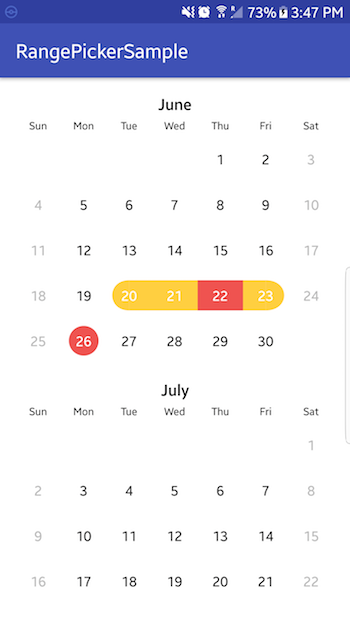 LogUtils — Simple and easy android logging. KOIN is a dependency injection framework that uses Kotlin and its functional power to get things done! Its documentation is really good, with examples and wiki. There are also contact information (even with Slack). We don’t think that Kotlin itself needs Optional because it has strong null-safe type system that effectively eliminates need in such a wrapper. However there are APIs and libraries like RxJava 2 which don't accept nullvalues. We also think that in many cases you can use sealed classes to express absent values, however in simple cases like passing String? through Rx stream Optional is a more convenient solution. For more go to their Github. This is an easy parallax View for Android simulating Apple TV App Icons. README is really good and worthy to check. The documentation is really good and this is really worthy to check. It is a truly great lecture! Reagent is a Jake Wharton place for experiments for future reactive libraries. Should you use it? No. That’s it. I hope you enjoyed the list. If you like my article, please don’t forget to click 👏👏👏 to recommend it to others 👏👏👏. Android Engineer, 📱 💻 🚘 enthusiast.